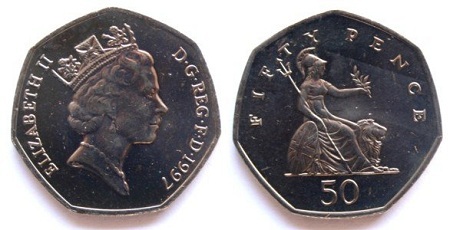 politicalbetting.com » Blog Archive » Is the 50p tax the next Coalition battleground? Is the 50p tax the next Coalition battleground? So far public tensions and skirmishes between the two Coalition parties have centred on social policy such as on the NHS or democratic reform such as AV and the House of Lords. The greatest unity appears has been on the government’s economic agenda despite significant pre-election differences between the parties. That could soon change. There has been a growing frequency number of nods and winks from the Treasury that George Osborne intends to reduce the 50p tax as part of its attempt to kickstart economic growth. Boris Johnson has been most vocal in opposing the tax and argued loudly London would stand to lose “highly educated, aspirational staff” to other countries should it continue. There are plenty of arguments on both sides the economic value of the tax. Tax justice campaigner Richard Murphy has suggested it is generating some significant tax receipts. However in many ways the political significance and fallout of this tax for those earning more Â£150,000 per year could prove just as significant – if not more so. As Lord Ashcroft has identified through his polling that the Conservative Party is still seen to be on the side of the rich among a good number of ‘Conservative Considerers’ he identified. It is one of the reasons why Cameron did not win a majority at the last election. How can David Cameron dispel this if it his Government gives a tax-cut to the wealthiest while others see benefits eroded, wages depressed and the cost of everyday living go up? It could stretch the ‘we’re all in this together’ argument well beyond the point of ridicule. Such a move by the Treasury would of course be something a gift to the Labour Party who are committed to keeping it and could describe it as ‘a tax-cut for bankers’ while highlighting the plight of ‘the squeezed middle’. It is potentially a more interesting opportunity for the Liberal Democrats. While George Osborne’s Budget included a review of the tax, it is not referred to in the Coalition Agreement. This gives the Lib Dems scope to oppose it. Clegg’s team could well want to demonstrate further differences between the coalition partners. Following on from collaborating over Murdoch and News Corp, this could be another area where his party works with Labour against the Conservatives. This debate will take place in a highly charged political atmosphere. There must be a sizeable proportion of Liberal Democrat MPs and activists licking their lips to oppose the prospect of opposing a ‘Tory tax cut for the wealthy’ in the run-up to another round of challenging local elections next May. All three party leaders will be seeking to motivate their core supporters at their respective party conferences in two months’ time. I expect the 50p tax to feature somewhere in discussions led by the grassroots in all three conferences. I think the politics of it all could prove irresistible for the Lib Dems but also detrimental to the Conservative Party as they risk further ‘re-toxification’. In the short-term this could be one economic battle Vince Cable deservedly wins over George Osborne. However it’s perhaps the prospect of the first economic split between the Coalition parties that could have wider implications for the Government if the economy continues to under perform.